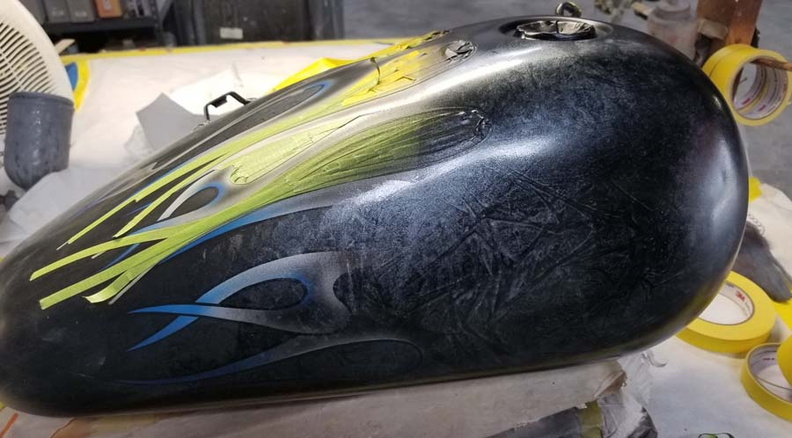 Is your original Harley-Davidson fender creased or dented? Below is are listings of front and rear fenders for most 3 piece Harley-Davidson motorcycle bikes. Most are considered 'used', but some are new. Get your bike back to par with once of the fenders. 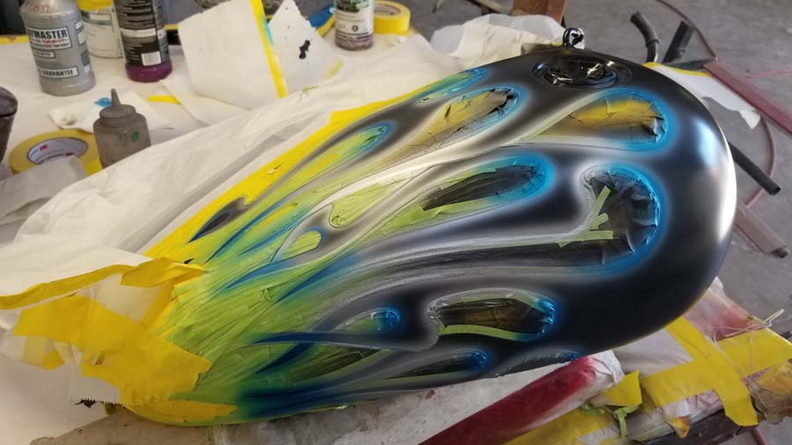 If you find one below, we can paint it for you to match the rest of your bike. If you don't know the color of your bike, I may have it listed here. Please note: each 'fender' section has more than one page. Be sure and check out the next pages to find the fender you are looking for. Also note, the aftermarket "raw" steel fenders are NOT as good as genuine Harley fenders. I have found the dresser, Heritage, Fatboy and other 'larger' Harley-Davidson fenders are not that good of quality. Especially the sides of the fenders. Keep in mind, even though you buy these 'raw' steel fenders cheap, there is still quite a bit of prepwork, materials and cost involved to get it to the 'paintable' stage. The smaller FX style fenders are not that bad quality though. I've had numerous people email me on cost for some new primed GENUINE Harley fenders, only for a reply back saying "well, I can buy a new one for $95". That is for a RAW AFTERMARKET POC. So instead of paying up front, you are now paying for a CHEAP fender that you have to pay anaverage of $50-$90 to get ready for paint (keep in mind, there is material costs here). So now you have invested quite a bit of money only to find that the sides of the fenders are very wavy. There is nothing you can do about this since there are rivets on these larger fenders. So in short, go ahead and buy smaller aftermarket fenders if you wish, but beware of the larger Harley motorcycle 'style' fenders. I've had numerous people email me on cost for some new primed GENUINE Harley fenders, only for a reply back saying "well, I can buy a new one for $95". That is for a RAW AFTERMARKET POC. So instead of paying up front, you are now paying for a CHEAP fender that you have to pay an average of $50-$90 to get ready for paint (keep in mind, there is material costs here). So now you have invested quite a bit of money only to find that the sides of the fenders are very wavy. There is nothing you can do about this since there are rivets on these larger fenders.